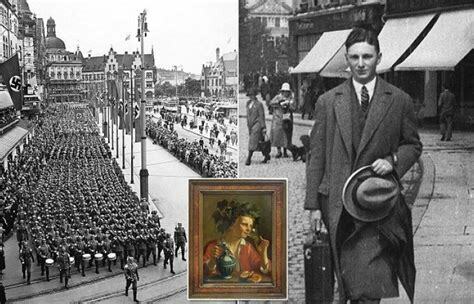 Dr.Manfred Gerstenfeld: Netherlands, Keeping Looted Paintings And Other Mischief Against The Jews……. – The Tundra Tabloids……. 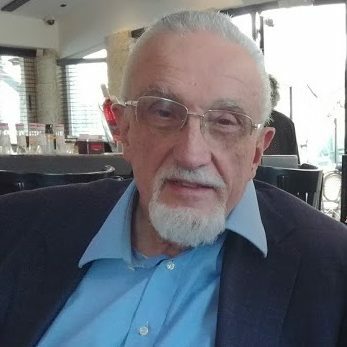 Dr.Manfred Gerstenfeld: Netherlands, Keeping Looted Paintings And Other Mischief Against The Jews……. In 2013, the Dutch government developed a legal method to avoid returning artwork expropriated mainly from Jewish owners during the Holocaust. This issue featured in an article in the Dutch daily NRC in December 2018. It was co-authored by foreign experts Wesley Fisher of the Claims Conference and Anne Webber of the Commission of Looted Art in Europe. These organizations attempt to obtain restitution of art looted by Nazis. The Netherlands is a profoundly hypocritical society. Since only a few foreign correspondents are stationed in the Netherlands, rarely scandalous news items about the country appear in international media. Yet every few months, negative news and scandals around Jewish issues crop up in the Netherlands which usually are not reported abroad in the general; media.. The legal manipulation of ownership of Holocaust looted paintings is just one example. An effort at whitewashing of two Dutch Nazi criminals has taken place in recent months. Isabel Boetzelaer, a descendant from a Dutch noble family, wrote a book titled War Parents. Her father had been a member of the SD, a criminal Nazi organization. Her grandfather was a member of the German army, the Wehrmacht. He became the commander of a notorious prisoner of war camp. The author claimed that her father and grandfather had been Nazis but it was fate that had brought them there. She also fabricated a false claim that her grandfather had been involved in the assassination attempt on Hitler. Her book was well received in the Netherlands. Even the organization that manages the memorial site in the former Westerbork camp invited her for a lecture. This camp housed the arrested Dutch Jews before they were sent to their deaths in Eastern Europe. Together with the CJO, the umbrella body of the Dutch Jewish Organizations, CIDI sent a letter to Amsterdam Mayor, Femke Halsema.5 They asked her to forbid pro-Palestinian manifestations at the Dam square which mainly propagate hatred, violence and antisemitism. The letter said that in the Netherlands, discrimination and hatred should have been banned after the Second World War. The above are just a few recent examples of the Dutch reality concerning Jews. While events differ from month to month they often reflect the same glib Dutch mentality. In December 2018, the Fundamental Rights Agency (FRA) published the main findings of its second survey on Jewish people’s experiences and perceptions of hate crime, discrimination and antisemitism. The FRA polled self-defining Jews in twelve EU countries. The Netherlands was one of those where some of the antisemitism-related issues were among the highest. It was one of six countries where almost all respondents — about 90% — answered that antisemitism had increased during the past five years. The Netherlands was also among the countries where the percentage of respondents who consider that expressions of hostility toward Jews in the streets and other public spaces are a “very big” or “fairly big problem.” It was furthermore one of the three countries where the highest percentage of respondents said that they avoid visiting Jewish events or sites at least occasionally, because, as Jews, they do not feel safe being present at the events or travelling to them. There are notable differences between EU Member States in terms of the extent of perceived antisemitic harassment. The Netherlands is one of several countries with a high percentages of respondents who experienced at least one type of antisemitic harassment in the 12 months before the survey. The findings of the study are typical for The Netherlands. It is somewhere in the middle of the pack of European antisemitism. While it is not a leader like France, Germany and Belgium, it is also not among the least antisemitic. Previous Post Previous Post Finland: Immigrant integration expert says “We’ve failed to successfully integrate people from Middle East and Africa, we need to do more”……..
Next Post Next Post Lebanon: 12 Islamonazis of Iran’s Revolutionary Guard Corps killed as IDF jets strike Iranian/Syrian military targets…….